This summer marked the first anniversary of the Client Empowerment Corps, our statewide initiative to address the causes and consequences of food insecurity and help struggling Texans share their stories. Led by AmeriCorps*VISTA members, the initiative creates partnerships that increase food bank clients’ access to health resources and economic opportunities outside of traditional food bank services. VISTAs are the driving force behind this initiative’s success, which is why we were excited to co-host a recent event at the LBJ Presidential Library in Austin celebrating VISTA’s 50th anniversary. VISTA (Volunteers in Service to America) was started by President Johnson as a domestic version of the Peace Corps. Rather than provide direct services to low-income communities, VISTA volunteers work to build the capacity of organizations that fight poverty, with a focus on long-term sustainability. 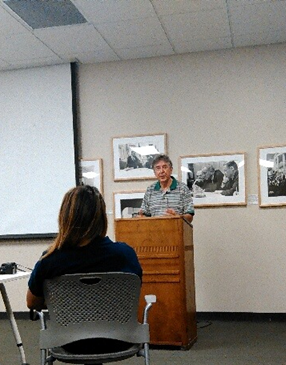 VISTAs at the event were welcomed by Texas State Representative and former VISTA member Elliot Naishtat as well as Austin Mayor Steve Adler. Representative Naishtat recounted his experience serving as a VISTA in Eagle Pass, TX, where he joined community efforts to bring running water to a nearby colonia and initiate the area’s first Head Start program. 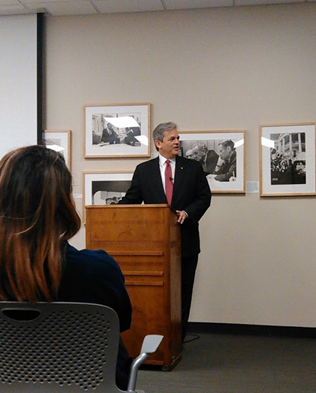 Mayor Adler spoke of the city’s pledge to end homelessness among veterans in Austin by this Veteran’s Day, November 11th. 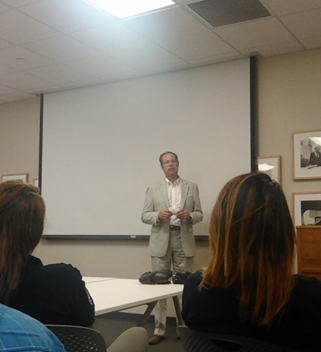 City Demographer Ryan Robinson presented new data to the group describing poverty in Austin. Robinson focused on the recent trend of suburbanized poverty – in which low-income families are being priced out of the city – and on the stark difference between the East and West sides of Austin in terms of income and housing affordability. 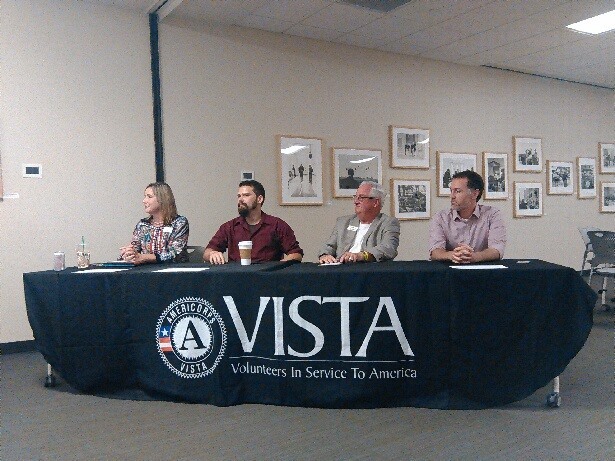 Following the panel discussion, VISTA leaders including our own Andrew Garrison facilitated small-group discussion on ways to solve poverty in Central Texas. Events commemorating VISTA’s 50th anniversary will continue throughout the year. 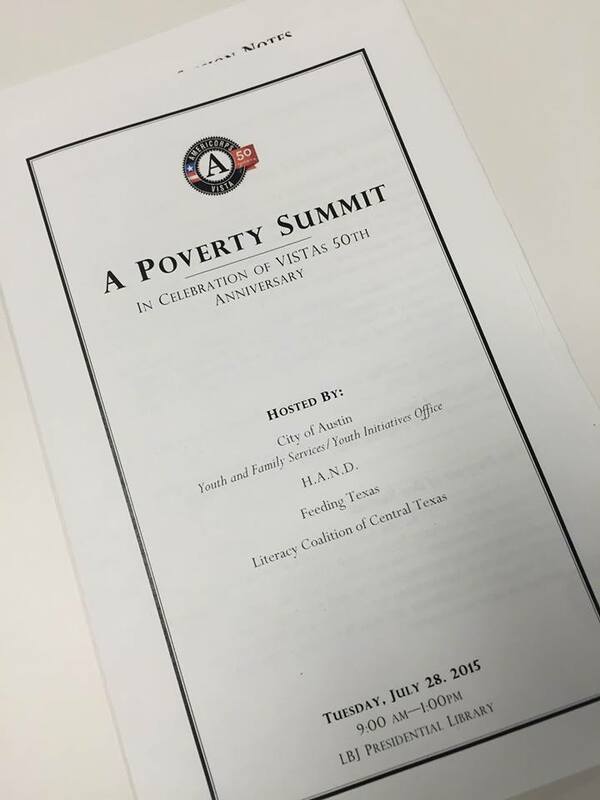 For Feeding Texas, this celebration is an opportunity to honor VISTA’s wonderful legacy of service while we create new connections and develop ideas for the future of the Client Empowerment Corps. 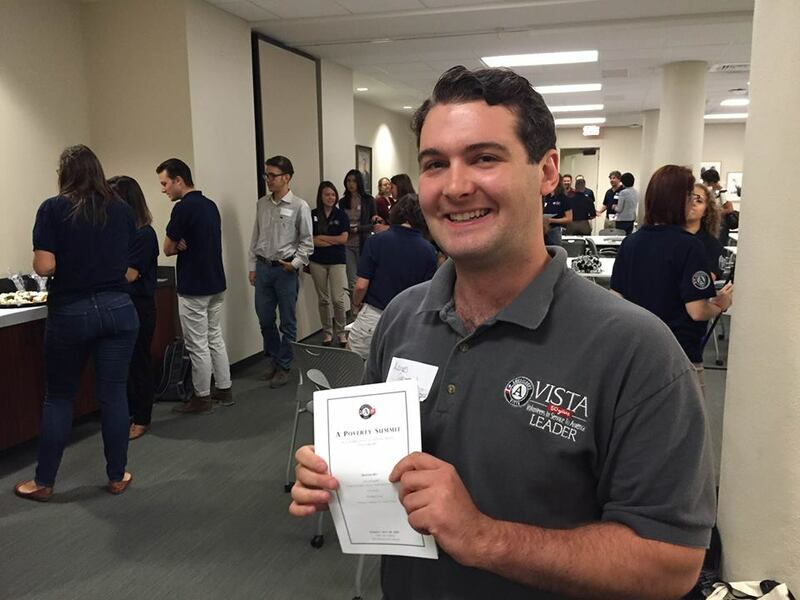 Interested in joining our VISTA team? Click here.